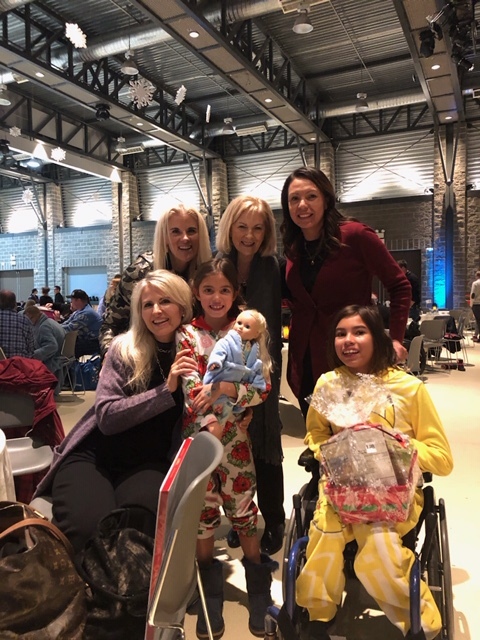 Pipella Law is proud to have once again kicked off the holiday season by sponsoring the annual Spinal Cord Injury (SCI) Alberta Christmas Peer Event on December 2nd. The 2018 edition of the Christmas Peer Event saw dozens converge on the University of Calgary’s MacEwan Hall in their comfiest loungewear for “The Polar Express??? Christmas Pajama Party; an afternoon of camaraderie, live entertainment, door prizes, a 50/50 and—of course—turkey dinner with all the fixings! In addition to raising the spirits of attendees with festive fun and casual conversation, the Christmas Peer Event sought to raise funds for SCI Alberta. Funds raised during the Peer Christmas Event will go directly to SCI Alberta. Since 1961, SCI Alberta has been helping Canadians with spinal cord injuries and other physical disabilities live independent, fulfilling lives. “Whether it be assisting a newly spinal cord injured child or adult, lobbying for better public transportation, or helping to create a more inclusive community, SCI Alberta embraces the approach that there is more than one way.??? Community development and systemic change initiatives. Just as organizations like SCI Alberta strive to aid those living with mobility issues in leading independent lives, Pipella Law works to ensure that spinal cord injuries caused by the negligence or actions of others are financially compensated. Strong community support, combined with financial security, can lessen the trauma of spinal cord injuries—which lets the people dealing with spinal cord injuries live life on their own terms. As tireless advocates for people living with disabilities both in, and out of, the courtroom, Pipella Law is proud to have supported the Christmas Peer Event.